OK. Look into my eyes and tell me if you don’t watch Youtube videos? Don’t lie! – Of course you do! Everybody does! Some people live on Youtube… not literally. I don’t blame them, since there is so much interesting and viral stuff there, and as much junk too. To watch online videos, all you need is a decent internet connection… But actually NOT! 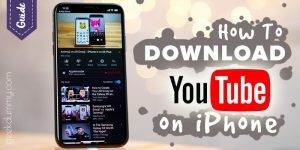 In this tutorial I will show you how to download YouTube videos on iPhone to watch them offline later. You will have three different methods to choose from. Let’s begin! I personally use the following strategy: I download few YouTube videos on my iPhone, then watch them whenever I have a spare minute (in public transport, in a queue, on the way to garage…). I constantly educate myself, thus trying to spend every minute of my life in a decent way. The time is precious, but we have so little of it. Just for your information: downloading YouTube videos is not allowed by Google (who owns YouTube)… Why? Because they want your money! There is a subscription-based service called «YouTube Red», which gets you access to premium content, allows to download videos to your devices and eliminates the ads. The service costs 9.99 $/month. If you’re ready to pay, go for it. If not – use the methods I described below. Wait! I bet this is going to be your favorite and only way of downloading YouTube videos! One of the recent YouTube app updates had brought the most fantastic options for all of us. Now you can download YouTube videos directly in YouTube app on iPhone. I don’t know how that was possible and why they decided to give us such option, but THANK YOU YouTube team! From now on you don’t have to worry about any other methods which I mentioned below. I hope “Download” option will stay in YouTube app for good. To download YouTube video on iPhone all you have to do is to press a Download button under video title. 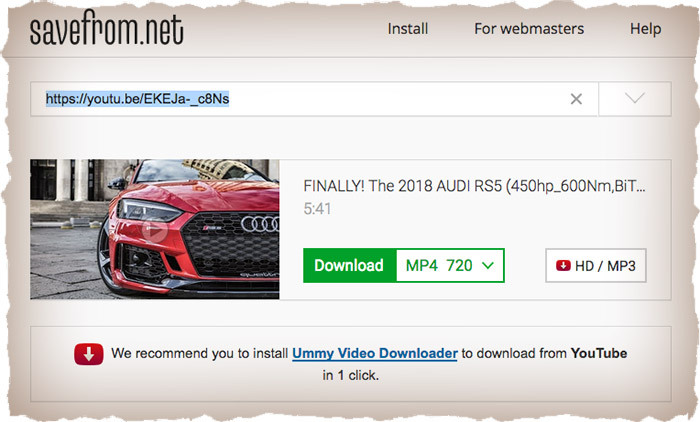 As you have probably seen on the screenshot above, there is one condition which means exactly what is says: “Downloads remain available as long as your device has an internet connection every 2 days“. So as long as you have internet connection every 2 days (which is very possible), all your video downloads will be available from Library in YouTube app. Guess what? There is NO DEDICATED YouTube video downloader app available in AppStore! Shocked? What did you think? If such apps had ever appeared in AppStore, the removal action by Apple was taken shortly. Despite Google’s restriction, there is a way to download video from YouTube directly on iPhone. We are going to use an app called «Documents by Readdle» (download link). It’s truly the best one for our needs. Now, give me your hand… I’ll take you through every step so you don’t get lost. STEP 1 Install Documents by Readdle. See link above. 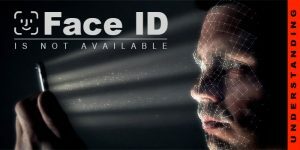 It’s available from US AppStore and most other countries. STEP 2 Go to YouTube app and find a video you like. Click the Share arrow on the top right corner, then Copy Link. STEP 3 Launch Documents app and click on Browser button (bottom right corner). STEP 5 Paste a YouTube link you copied in STEP 2. Choose desired quality. The Download should start automatically. STEP 6 Completed downloads will be available from Documents – Downloads. What if you want that video to be available in Photos app on your iPhone? No problem! STEP 7 Tap on three dots at the video file. Then tap Move. STEP 8 Go to folder Documents > Photos and confirm by tapping Move to «Photos» at the bottom of the screen. Done!!! This method is the most optimal and easy, but not the only available. 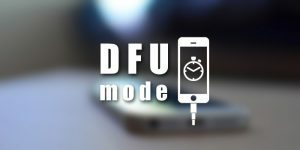 If you feel as a more tech advanced user, try the following method where we download a YouTube video on computer first, then transfer it to iPhone. If for some reasons the first method doesn’t meet your requirements, there is an alternative. This time we’ll be using a computer to download YouTube videos. Don’t be scared… It’s not that complicated. STEP 1 Go to YouTube web site and copy the address of the video you with to download. STEP 3 Paste the link (that you copied in STEP 1) to the special field on the website. STEP 4 Choose desired video quality, then tap green Download button. OK. It was quick and easy. I like this method for it’s simplicity and speed. All you do is just copy/paste the URL from one tab to another. Now when all the videos are saved on your computer it’s time to transfer them to your iPhone. 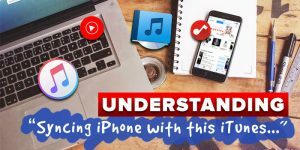 Previously I posted a dedicated tutorial on how to download videos on iPhone. Please follow the link below and use one of the first three methods. I strongly recommend to check it out, but if you don’t want, here is one method I use the most. We are going to use iTunes (on computer) and “VLC for Mobile” (on iPhone). You can also use «Documents by Readdle» app… it will give you even more options. The procedure for both apps is the same. 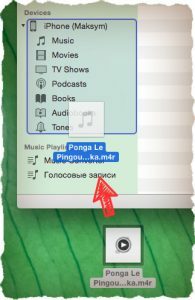 STEP 1 Install «VLC for Mobile» (or «Documents by Readdle») app on iPhone. STEP 3 Launch iTunes. Click the icon of your device. 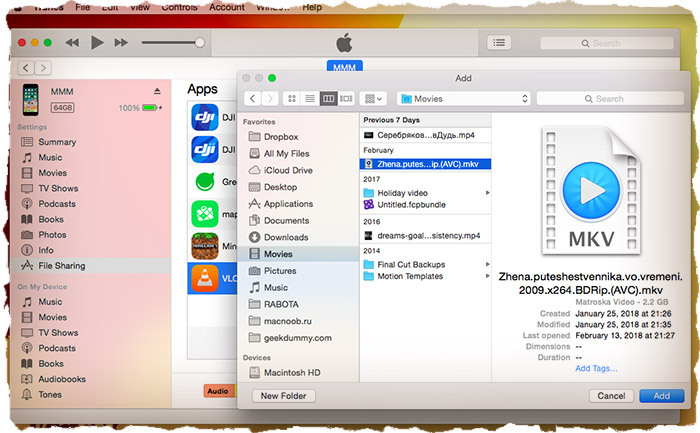 STEP 4 Tap «File Sharing» on the left side of the window. Then tap on VLC, then «Add…» button. 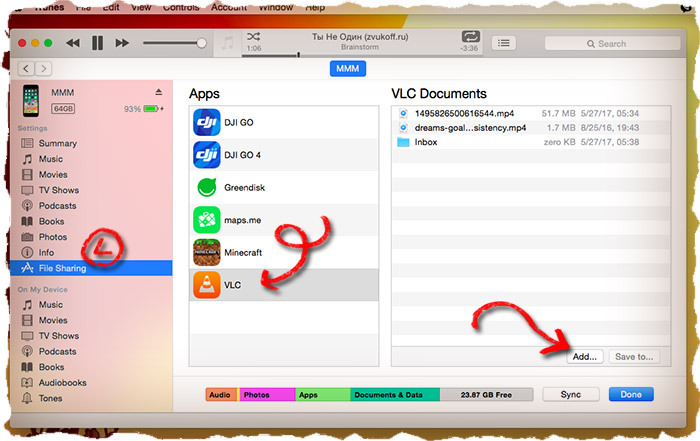 STEP 5 Locate video files which you downloaded from YouTube and simply add them to the iPhone. STEP 6 When file transfer is finished, you can start watching these videos from VLC app on iPhone. This is the end of METHOD 2. First few methods are completely free, though require some action from you. If you need to save YouTube videos to iPhone on a regular basis, I would suggest a product called “Softorino YouTube Converter 2“. I’ve been suggesting Softorino product for few years now. Not because I get a commission… I get nothing actually… but because their product turn complicated things into the simplest and pleasure action. I personally use WALTR2 and SYC2 on my MAC and, trust me, these two are fantastic products. 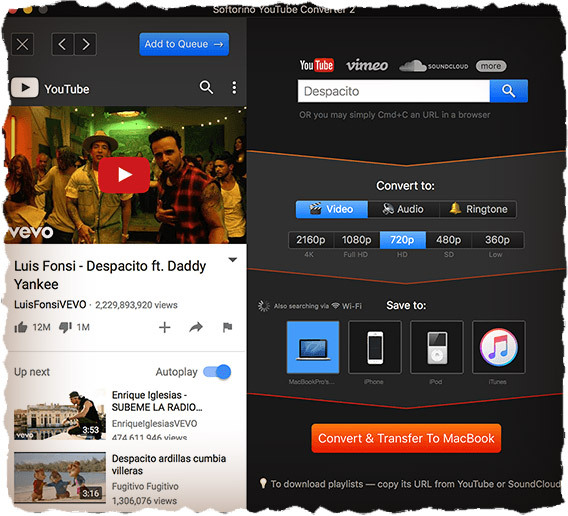 YouTube Converter from Softorino (Download here) does all the job for you. You just need to point the URL of the video. In few clicks it will be downloaded directly on the device you choose. I think you’ll get an idea of how it works from the screenshot below. It’s All in One product. Downloaded YouTube videos will appear in Videos app if you Save them to iPhone or iPad. Of course, you have to pay for the comfort, but the price of 20$ is not comparable with possibilities you get. Ones again, if you quite often have to download YouTube videos to iPhone, I would strongly recommend SYC2. Invest one time – enjoy for years. To my opinion, this set of methods should satisfy anyone who want to watch YouTube videos in offline on iPhone. There are obviously other iOS apps that have similar functionality… but most of them are overfilled with ads. 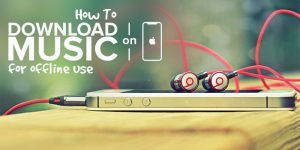 I personally use the first method to download short videos, and use the second method to download full movies on my iPhone. Try it and tell me in the comments if it worked for you and which method you picked up for yourself. 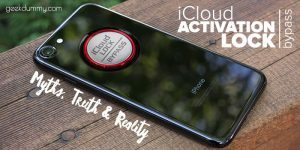 [SOLVED] How to reset iPhone? 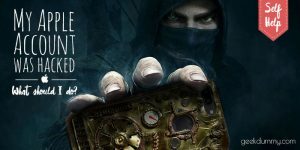 GeekDummy.com is the place where you would find the answers for your questions, step-by-step guides, tutorials and simple troubleshooting posts when it comes to tech stuff.